F1’s record books are littered with events that hinge on circumstance, down to luck, or lack of it. And while it might be completely useless, we look at some of F1’s biggest ‘What If’s’ and their corresponding alternate histories. What if Michael Schumacher remained at Mercedes for 2013 and 2014? After scoring his first podium in 6 years at the 2012 European Grand Prix, Michael Schumacher outscored Rosberg by 18 points in the final 12 races of the season of his career. What if Schumacher hadn’t retired and remained with Mercedes for the 2013 and 2014 season? Could Schumacher, with all his championship-winning experience, have continued his trend, have outfoxed Nico Rosberg, surpassed 100 Grand Prix wins, and clinched his 8th title in 2014 with the dominant W05 Hybrid? What if Mark Webber joined Renault instead of Williams? After the 2004 season, Webber was given the choice to leave Jaguar for either Williams or Renault for the 2005 season. Webber opted for Williams, where he struggled two seasons and scored only one podium, while Fernando Alonso took 14 wins and 2 championships. Could Webber, in the prime of his career, have challenged Alonso? If so, could Webber have been a double world champion, instead of the Spaniard? What if Betrand Gachot had been in a slightly better mood when he called for a cab in London in 1991? Jordan driver Gachot had set the fastest lap during the 1991 Hungarian Grand Prix, but soon after he was sentenced to prison after an arguement and sprayed CS gas in the face of a London taxi driver. A young Michael Schumacher bluffed his way into the empty Jordan seat and went on to impress during the Belgian Grand Prix weekend. If Gachot hadn’t been in prison, Schumacher might have had to wait until the 1993 season when Sauber, Schumacher’s sportscar team, entered F1. Or, arguably, he might have never had a shot at F1 at all. What if Robert Kubica had different hobbies other than rallying? The Renault outfit was preparing for their 2011 season when Robert Kubica had a F1-career ending accident in the first stage of the Andora rally. The 2011 Lotus was a podium contender, and it seems likely Kubica would have put it to better use than Vitaly Petrov, Nick Heidfeld, and Bruno Senna ever did. The Pole could have easily marched on to Ferrari, for Felipe Massa’s scoring in 2011 was dismal. Yet, without a proper replacement, Massa remained for the 2012 season. At Ferrari, Kubica might or might not have clinched the title which Alonso so nearly did in 2012, but surely the Polish driver would still be in F1 now; 31 years of age and still a force of reckoning. Perhaps even with some world titles to his name. What if Michael Schumacher had gone to McLaren instead of Ferrari? Ron Dennis tried to lure Michael Schumacher to McLaren (there’s even a video of it online). Schumacher must have thought about it, but opted for the Scuderia instead. Had Schumacher gone to Woking, there wouldn’t have been the Scuderia dream team of Jean Todt/Ross Brawn/Michael Schumacher from 2000 to 2004. But it does seem extremely likely that a Dennis/Adrian Newey/Schumacher superteam would have clinched the 1998, 1999, 2000 and 2001 titles. What could Bruno Senna have accomplished, had the disastrous weekend of Imola 1994 never happened? Bruno Senna began karting when he was only five years old, but when his uncle Ayrton tragically died during the San Marino Grand Prix of 1994, Bruno’s career was brought to an abrupt halt, and the youngster focussed on other things. Bruno wouldn’t race for a decade. But what if Ayrton Senna never lost control during that San Marino Grand Prix of 1994? How different would Bruno Senna’s career have been with development through the years of 1994 and 2004? It’s difficult to decipher, but it seems likely that Bruno would have reached F1 earlier than 2010, and also not with HRT. Perhaps a more experienced Bruno Senna would have landed the BrawnbGP seat in 2009, which he so narrowly missed out on to Rubens Barrichello. What if Jean Alesi had stuck with his Williams contract? In his first two seasons in F1, Alesi showed his speed with the underfunded Tyrell team, including that famous battle with Senna’s McLaren in Phoenix. Alesi’s stellar drives prompted Williams to sign the Frenchman, but Alesi later decided to join Ferrari, with the Scuderia willing to pay a $4 million contract clause to Williams for the Frenchman’s services. From 1991 to 1995, ‘The French Sicilian’ won the hearts from the Tifosi, but it must have been painful to watch Williams drivers nick 38 victories and the 1992 and 1993 titles. Alesi only won a single race with Ferrari in 1995. Had Alesi gone to Williams, he would have joined Patrese, thus it seems likely Mansell would have never been at Williams, and by default never become a world champion; Alesi could have taken his place in the record books instead. Jean surely had all the hallmarks of a superstar, and the talent to match it, yet never the car to truly deliver on all the promise. What if Didier Pironi had followed team orders during the San Marino Grand Prix of 1982? The dynamics of the 1982 season all changed during the Grand Prix at Imola. The Ferrari drivers, 1st and 2nd in the race, were ordered to hold positions to the finish, with Gilles Villeneuve ahead of Pironi. With 2 laps to the finish, Pironi inexplicably overtook Villeneuve and went on to win the race. Villeneuve was furious at Pironi’s betrayal and vowed never to speak to the Frenchman again. Villeneuve died in a crash during qualifying for the next race, the Grand Prix of Belgium, when he slammed into the back of Jochem Mass’ March, as he furiously tried to out-qualify his teammate. Pironi later injured his legs at Hockenheim, ending his F1 career the same year. Both Villeneuve and Pironi could have won the 1982 title and many after, but that course of history was all changed during that single snap-of-the-mind from Pironi at Imola. What if Derek Warwick had joined Williams in 1985, or Lotus in 1986? In 1984, a young Warwick outraced experienced Renault teammate and Grand Prix winner Patrick Tambay. Warwick was offered a drive at Williams for 1985, but remained loyal to Renault, who then produced the poor RE60 and subsequently left the sport. Warwick was initially without a seat for 1986, but then Lotus approached him with an offer. Ayrton Senna, Lotus’ lead driver, got word and vetoed it. Warwick, without a seat, went to the World Sportscar Championship in 1986 before going back to F1 with Brabham, Arrows and eventually Lotus in 1990, but none of the cars were impressive and Warwick would never add another podium to the four he scored in 1984. Warwick was surely Grand Prix winning material, perhaps even more; with a Lotus or Williams he could have surely added victories to his tally. Instead, now he remains one of F1’s finest drivers to never score a Grand Prix victory. What if London on November 29th in 1975 hadn’t been foggy? On November 29th in 1975, Graham Hill piloted a Piper PA-23, a light aircraft, which in thick fog crashed near London. Hill was instantly killed, as were his team manager, designer, two mechanics and 23 year old teammate Tony Brise. Hill was in the twilight of his career, while Brise’s was just starting. He had just risen through the lower ranks of motorsport, from being the 1968 British karting champion to the 1971 FF1600 runner-up. He won the 1973 British F3 championship and finished 4th in the 1974 British Formula Atlantic championship. Brise only raced 10 Grand Prix’, in poor cars, but scored points in only his 3rd race in Sweden. Many reporters of those days saw Brise as a future superstar, and he could have been named in the same breath with those 70’s and 80’s stars such as Lauda, Hunt, Scheckter, Jones and Piquet. What if Emerson Fittipaldi hadn’t gone to his brother’s team? Emerson’s Fittipaldi’s entrance in F1 was mecurial, and while just 23 years old, ‘Emmo’ took victory in only his 4th Grand Prix start. In 1972, only his third season, he became F1’s youngest champion at the age of 25, a record he held for 33 years. Fittipaldi finished 2nd in the 1973 standings, took the title in 1974 and took another 2nd place in the standings in 1975. With 14 Grand Prix victories to his name, he left for his brother’s Fittipaldi team, yet never scored another race victory. Had Fittipaldi remained at McLaren, it seems obvious he would have taken the 1976 title instead of Hunt, who would have never had been offered the seat. It’s difficult to look beyond that, in terms of what team Fittipaldi would have driven for, but ahead of the 1977 season, Fittipaldi would have 30 years old with plenty of panache and experience. In this scenarios, it’s not hard to imagine the Brazilian as a possible 5-time champion. What if Damon Hill had gone to McLaren for 1997 (or 1998)? Hill took the title in 1996, but was out at Williams for 1997, mainly for having high salary demands. McLaren, Benetton, Jordan and Ferrari all had offers for Hill for 1997, but Hill mystically choose Arrows instead, a team that only scored a single point in the 1996 season. Hill’s drives were impressive at times, but his title defence hopeless, as he collected only 7 points en route to 12th place in the standings. McLaren again approached Hill for 1998, but Hill declined again to join Jordan instead. He did win a win at Spa, but lost motivation through 1999 and retired. Meanwhile, Hakkinen took 12 wins and 2 titles. Had Hill joined McLaren, he could have fought for the championship in 1998 and 1999. Could Hill have bested Mika Hakkinen to retire with three titles to his name? What if Fernando Alonso had suffered a career-ending injury during the Brazilian Grand Prix of 2003? This is not an entertainable thought, but a big ‘What If’ in any case. Webber crashed near the end of his 54th lap of that famous 2003 Brazilian Grand Prix. 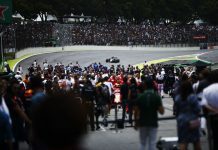 Alonso charged onto the straight on his 55th lap and slammed into the loose wheel of Webber’s Jaguar at 290kmph. The Spaniard was injured to the point he was unable to step up to the podium, but what if it was his F1 career had finished there and then? Its likely that Renault’s reserve driver Allan McNish would have finished the 2003 season, or perhaps Franck Montagny. As for 2004, 2005 and 2006, it’s difficult to see who would have driven the Renault, and whether it would have been taken to the Drivers Championship, but Alonso’s name would be a mere footnote in the history books, with just two podiums to his name, and not even a single victory. Michael Schumacher might have taken an 8th title in 2006, while Kimi Raikkonen could have cliched his maiden title in 2005. What if Ayrton Senna received a four race ban for punching Eddie Irvine in the face? During the closing stages of the Japanese Grand Prix of 1993, Eddie Irvine, in his first race in F1, unlapped himself by passing race leader Ayrton Senna. Senna was not pleased and, after the race, the two started a heated discussion, ending with Senna punching Irvine in the face. What if this behaviour was punished by a four race ban? Senna would have missed the last round of the season, the Australian Grand Prix, and the first three rounds of the 1994 season, the Brazilian Grand Prix, the Pacific Grand Prix, and the San Marino Grand Prix. What if Taki Inoue was the most talented F1 driver? Taki Inoue made his F1 debut with Simtek at the penultimate round of the 1994 season, qualifying in last place and then spun-off. In the 1995 season he raced with Footwork, finishing only 5 of 17 races, all outside the points. But what if Inoue displayed a Senna-esque talent? 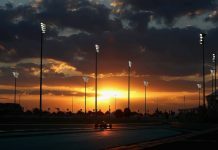 He would have stunned the world on his debut Grand Prix, with blistering pace in the Simtek, qualifying 10th and finishing 6th in the race, scoring the team’s first ever point. The timing would be perfect. Frank Williams, who was already reluctant to put David Coulthard in his car during the 1994 season, would have signed Inoue to race alongside Damon Hill. Inoue would have put Adrian Newey’s FW17 to better use, and would surely seal the championship in 1995, as he would again in 1996 and 1997. He would then jump ship, together with Newey, to McLaren, clinching 7 consecutive titles from 1997 to 2003, retiring from the sport as a 10 time world champion. His most popular YouTube video would be of him passing eight cars in a single corner at Monte Carlo, instead of that fire extinguisher accident video. We can but dream, can’t we? The Top Dog For Spain Is..